Dr Tobias Bischof-Niemz speaks on South Africa’s Draft Integrated Resource Plan 2018 with a focus on job creation and policy adjustments. Presentation made on October 4, 2019, in Johannesburg, South Africa. Click Link Below to View Presentation. · Wendy Poulton: General Manager – Organisational Strategy, Eskom. It was encouraging to hear the DOE’s willingness to engage with business on the draft IRP and be presented with risks and opportunities for South Africa from a scientific and economic perspective. We’re looking forward to building on this momentum at our IRP training course presented by UCT (see below). The implications for the electricity sector and business now and in the future. Please see IRP Course 2018 for more details. 3. Submit any comments on the draft IRP either as an individual company or via your business association. Following analysis of comments and necessary adjustments, the IRP Update will be tabled at Cabinet for final publication. In “long term planning” it is not about how accurate the assumptions are, but how robust and flexible are the proposed plans to the ever-changing environment (assumptions). 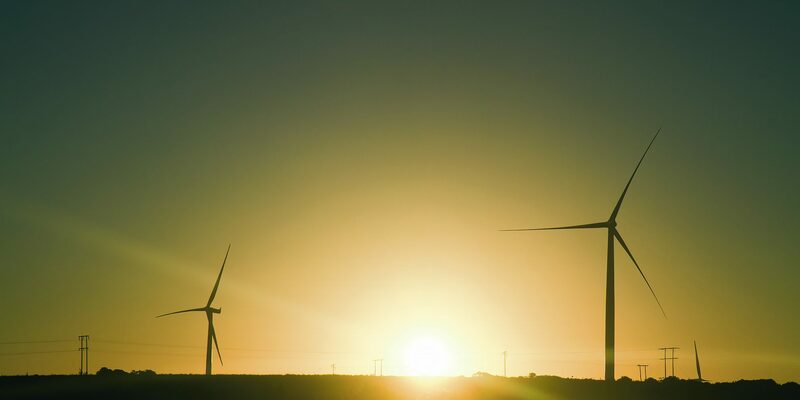 The Draft IRP 2018 recognises unambiguously that the cheapest way to produce reliable new electricity in South Africa is through a mix of solar PV, wind and flexible power stations (gas-fired power in the IRP). Electricity-based fuels and chemicals (“power fuels”, “e-fuels”) provide a huge potential export opportunity for South Africa. We live in an era of unprecedented change and uncertainty. The new IRP has built in more flexibility which is a positive step as policy makers, regulators and business need to be able to change rapidly or they run the risk of stranded assets, increased energy prices or unsustainable business models. We know customers are also taking their own energy decisions, making central planning and coordination more difficult. This uncertainty needs to be built into the planning timeframes. Please look out for the Quick Brief on the South Africa’s Draft Integrated Resource Plan 2018 that we will be sharing with you soon. Kindly contact: Verushka Singh should you have any queries or if you would like to attend the Electricity Systems and Planning Course taking place 9th to 11th of October 2018: VerushkaS@nbi.org.za or 011 544 6000. The countdown to the 8th Windaba continues, now with just 40 days to go! We’re heading into the home stretch of preparations for ‘Africa’s Premier Wind Energy platform’, Windaba Conference and Exhibition. With the IRP2018 draft submissions deadline approaching, the role of investment as a catalyst in the energy transition features large in contemporary South African discourse. Diarise this session taking place on Wednesday, 7 November from 11:00 to 12:30. Dr. Tobias Bischof-Niemz is a Director of ENERTRAG SA (Pty) Ltd. in Cape Town, and the Head of Corporate Business Development at ENERTRAG AG, Germany. Before joining ENERTRAG in September 2017, Tobias successfully established and led the Energy Centre at the Council for Scientific and Industrial Research (CSIR). Bischof-Niemz served as a member of the South African Ministerial Advisory Council on Energy (MACE) that advised former Minister Joemat-Pettersson on long-term, strategic energy topics. Thor is responsible for the management and strategic oversight of renewable energy investments for certain AIIM managed funds, where he sits as a nominated director on various wind and hydro assets. His broader investment experience includes mergers and acquisitions, asset management and project finance restructuring across South Africa, Australia and Europe. Dr. Sharron L. McPherson is Executive Chair and Co-Founder of The Centre for Disruptive Technology. Sharron is a former investment banker and Wall Street attorney turned serial social impact investor and entrepreneur. McPherson is also a Founding Shareholder in the Women in Infrastructure Development & Energy (WINDE) Consortium, Africa’s largest women in infrastructure investment group. She currently teaches Project Finance at the University of Cape Town’s Graduate School of Business and is a Member of the Faculty at Singularity University. Chief Executive Officer, Hulisani Ltd.
Marubini Raphulu is the Chief Executive Officer of Hulisani Ltd. His corporate commercial experience garnered over 15 years coupled with a wide knowledge of investment and energy development has positioned him well to lead the company for a new age of energy development. Raphulu left his role as Senior Principal in the Investment Banking Division at Nedbank, to pursue his keen interest in the development of industries involved in the energy sector. He started Medupi Capital, focusing on Principal Investments and Advisory in the Energy Sector, which then partnered with Mazi Capital to create Hulisani in 2015. Vuyo Guma is a Director in the Economic Policy division of the National Treasury responsible for Tertiary Sector policy analysis. Ms Guma is an economist with an MCOM in Economic Development and Policy Issues and has been with the National Treasury for nearly five years. She also sits on the board of the YES initiative and is currently leading work on electricity sector restructuring.